Following two more song drops over the weekend, Boosie Badazz's non-stop 2016 continues with the unveiling of a new music video. The gruff-voiced rapper has given his violence- and madness-themed "World War 6" cut from Out My Feelings (In My Past) a set of visuals, which are streaming online now. 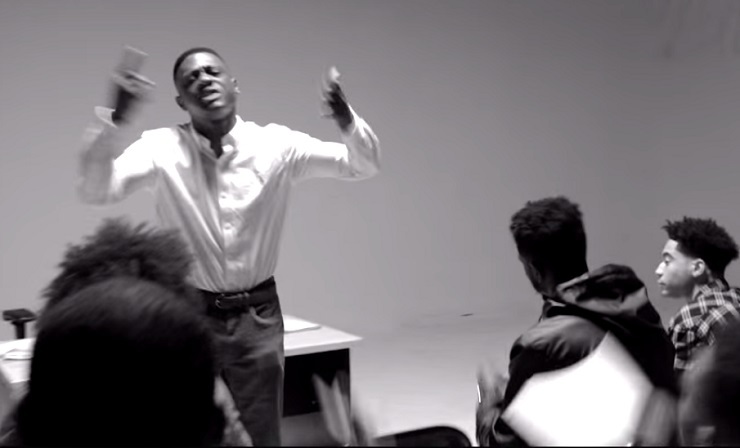 The clip has Boosie playing teacher to a group of students, sermonizing on the sad state of current affairs that led to the deaths of Laquan McDonald ("shot down in cold blood"), Sandra Bland and the students of Sandy Hook Elementary. Other topics that come up in the classroom include the political presence of Donald Trump, the death of Tamir Rice, gang violence, ISIL and more. You'll find Boosie's lesson plan down below.